Final results from a longitudinal investigation of the effectiveness of cognitive-behavioral treatment with sexual offenders are presented. The study was a randomized clinical trial that compared the reoffense rates of offenders treated in an inpatient relapse prevention (RP) program with the rates of offenders in two (untreated) prison control groups. No significant differences were found among the three groups in their rates of sexual or violent reoffending over an 8-year follow-up period. 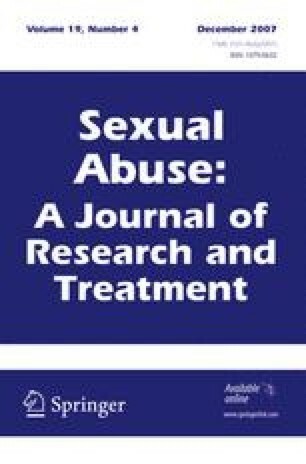 This null result was found for both rapists and child molesters, and was confirmed in analyses using time to reoffense as the outcome and those controlling for static risk differences across the groups. Closer examination of the RP group’s performance revealed that individuals who met the program’s treatment goals had lower reoffense rates than those who did not. Although our results do not generally support the efficacy of the RP model, they do suggest a number of ways in which this kind of treatment program can be improved. This study also emphasizes the importance of including appropriate control groups in treatment outcome research. Additional controlled investigations are needed to address the many questions that remain about when and how treatment works for sexual offenders.